The multi-million dollar lottery winners on ABC’s Lucky 7 can now find happiness or misery on their own time. It’s the first new series cancellation of the fall season, after just two episodes. Lucky 7, which had been the 9 p.m. (central) caboose of ABC’s all-new Tuesday lineup, will be replaced by Scandal repeats. On the plus side, two fall newcomers will be setting in for a while. Fox’s Sleepy Hollow already has been picked up for a Season 2 while NBC’s The Blacklist is the first of that network’s freshmen series to get a full season order. 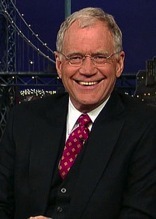 CBS and David Letterman will be late night partners through at least 2015, the network has announced. “Les and I (CBS chieftain Leslie Moonves) had a lengthy discussion, and we both agreed that I needed a little more time to fully run the show into the ground,” Letterman quipped in a publicity release. His Late Show premiered on CBS on Aug. 30, 1993 and has won multiple Emmy Awards during that run. But Letterman, who will be 68 at the end of his latest deal with CBS, has been unable to unseat Jay Leno from the No. 1 ratings slot in late night. NBC will honor Leno by dismissing him for a second time after the network’s Winter Olympics telecasts. CBS’ latest big summertime “event” series, Extant, will star Oscar winning actress Halle Berry (Monster’s Ball). Produced by Steven Spielberg, Extant will join Season 2 of Under the Dome, which was a major hit for CBS this past summer.